Joe Madonia is leader of the firm’s Environmental Litigation team. 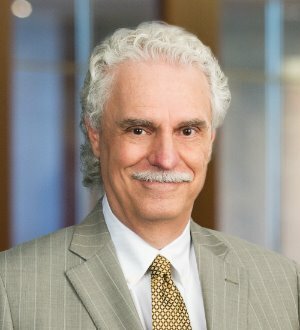 For more than 25 years, Joe has defended and counseled clients on a wide array of toxic tort and environmental matters at the local, regional and national levels. Joe delivers strong skills as a litigator, multifaceted trial experience, and the regulatory know-how and scientific depth needed to problem-solve at virtually any level of sophistication or difficulty. His experience includes serving as national trial counsel in complex litigation for international chemical companies. He has assisted clients in successfully defending large environmental class action suits involving groundwater, air and soil contamination issues in multiple states, as well as governmental enforcement actions, citizen suits and private party cost recovery litigation. Joe also consults frequently in connection with major site remediation projects and has handled numerous matters involving remediation of manufactured gas plant (MGP) sites, Superfund sites, RCRA facilities, underground storage tank sites, and voluntary remediation under various state programs. In addition, he has been involved in the prosecution and defense of several high-profile criminal environmental cases, which he has handled both at the grand jury and trial stages. Clients appreciate Joe’s far-reaching experience in environmental law, which allows him to conserve their time and resources while executing strategies that are effective and focused. Of particular note, Joe’s technical background is extensive and includes chemistry, toxicology and hydrogeology. He is also highly skilled at working with experts to develop testimony that is easily understood and persuasive, often a key advantage for those he serves. Prior to joining Barnes & Thornburg, Joe was a partner at Wildman Harrold in Chicago. He also served as deputy chief of the Illinois Attorney General’s Environmental Enforcement Division, where he tried and supervised civil and criminal proceedings in federal and state courts and before a variety of regulatory agencies. This experience gave Joe a unique perspective when defending cases against the government, as he understands the agency decision-making process.